Meet the qualified and experienced Daviess – Martin Healthy Families’ staff. Sandy has worked for Healthy Families since 2003. 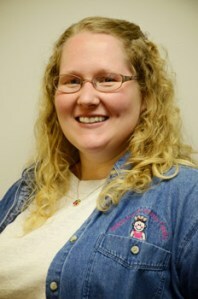 She said she has always had a passion for families and children and really enjoys working with new mommies. Sandy has a daughter of her own and loves spending time with her. Sandy said her best advice, as a mommy herself, is to cherish every moment with your child, even the tough times, because one day they will be all grown up and you can’t get those moments back. Sandy said her favorite memory as a mommy would be hearing her daughter laugh for the first time. Not just a laugh, but an “I’m laughing because something was actually funny to her” laugh! Music to mommy’s ears! Sandy wishes she would have had Healthy Families herself because there is always so much to learn as a mommy, whether this is your first child or not. She’s grateful to be working for Healthy Families and doesn’t know what she would do without them! Susan has been working for Healthy Families since 1994. She absolutely loves being a mom. She started working with Healthy Families when it was brand new to the county! She was a single mom for 17 years and knows how hard it can be to raise a child being single. She did have family support but wished she had had someone else who could have come and helped her learn more about development and raising a child. She said it wasn’t easy being a new mom and wasn’t able to see her son for two weeks due to him having some health problems and had been taken to a children’s hospital. She said her whole life changed at that moment. She said she looks back now and wonders sometimes how they made it. Her advice to all moms is to love your child unconditionally…no matter what they do still love them. Seeking out help is not a bad thing…it is one of the best things you can do for you and your family. Healthy Families is not there to judge you or tell you how to raise your child…we want to be a support for you and make sure you have all the resources available to you that will help you on your new journey as a new parent. Jo Ann has been working for Healthy Families since 2009 and decided to join the Healthy Families crew after helping a young couple and wanted to help support young mothers in raising their own little ones. Jo Ann said her favorite memory as a mommy is the first time each of her children said “I love you mommy.” She said her most embarrassing moment as a mommy was when she called her husband in panic because she couldn’t find their 15 month old. She then saw the boxes of cereal out of the cabinet and on the floor. She then opened up the cabinet door and the 15 month old smiled and said PEEK-A-BOO! 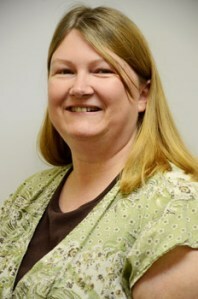 Kim began working for Healthy Families in 2007. She really enjoys working with babies and toddlers. Kim has 2 boys of her own and she remembers when her own children were little and knows now having a little support would have helped her out a lot. Her favorite memory as a mommy is reading to her children every night before bed. She said it’s nice that her children remember even now the stories that they read! Kim’s advice to other moms is to not sweat the small stuff. The spilled juice and broken toy really won’t mean anything next year, but the hugs will never be forgotten. Kim would have really liked to have had Healthy Families when she was a single, teenage mom. She said knowing what her children were capable of and knowing what was too much to expect from them, would have made her a better mommy. Kris began working with Healthy Families in 2002. She has always enjoyed working with parents and their children. Kris has 4 grown boys and has been blessed with beautiful grandchildren. When asked what her favorite memory as a mommy was, she said there were way too many! She said besides the day they were born, she really enjoyed reading to her children and listening to music with them and just being silly and dancing around with them. She said aside from her children graduating, getting married, and having children of their own, one thing that stood out in her mind was when her son asked her for parenting advice. That’s when you know you did something right. Kris would like to encourage you to just have fun and enjoy that family of yours. Being a parent isn’t always about being serious; it’s about sitting back and enjoying every moment with them. Those are memories we won’t ever be able to get back, so we might as well enjoy them! Natalia began working for Healthy Families in 2007 and not only does she speak English, but Spanish as well! Natalia said she wanted to be a part of Healthy Families because she enjoys meeting new people and can help offer support to families of various backgrounds, values, education and sizes. Natalia has two boys and also has a grandson. Natalia said her favorite memory is watching her son’s father feed the baby and rock him to sleep. Also at age 3, her other son counted loudly to 100 in a public place. That’s one proud mommy moment! Natalia said her best advice to a new mommy would be to take a lot of pictures and write notes about the things your child does and when. It helps you remember important details and is a nice keepsake for your child when she/he is older. Natalia would like to make sure that you know no question or concern is silly or insignificant. The home visitors are here to listen to you and help you get the answer you need. You already know about raising a child, they are just there to provide reassurance and give other ideas that you may want to try. It’s also great to have someone to talk with, especially when you are far away from your extended family and friends.